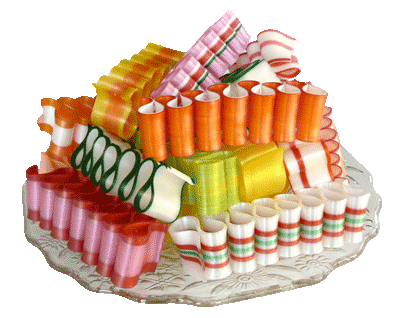 This is the thin Ribbon Candy you remember... made by Sevigny's. The Christmas season is just not complete without it. The 6 ribbons are roughly 4" long and 1" by 1" thick. It is only available during the Christmas season beginning around September each year.